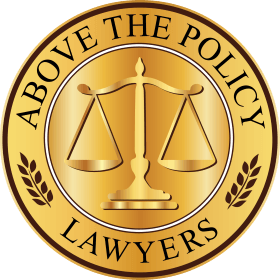 Home » the Firm » Attorneys » Robert T. Plevy, Esq. Robert Plevy, Esq. is a founding partner of the law firm of FRANCKEL & PLEVY, LLP. His practice is limited to the representation of seriously injured individuals, a field of law in which he has more than 20 years of experience. A graduate of Rutgers University and Brooklyn Law School, Robert began his legal career in 1993 as an Assistant Corporation Counsel defending The City of New York against personal injury lawsuits. Robert was sworn in as an Assistant Corporation Counsel by Mayor David Dinkins. While working as an Assistant Corporation Counsel, Robert learned the discipline and skills necessary to become a trial lawyer for the City of New York trying many cases to verdict. He served his three-year commitment as Assistant Corporation Counsel before moving into the private sector, with a large personal injury law firm, representing individuals injured in accidents in the New York City area. In 1998, Robert moved, with his family, to New Jersey and started his own practice representing the seriously injured. It has always been his passion to fight for the underdog. “Helping people is what I most love about personal injury.” While practicing in New Jersey, Robert was appointed by The State of New Jersey to sit as an arbitrator in Superior Court. Robert has arbitrated hundreds of personal injury cases in New Jersey. In 2012, Robert moved with his family back to New York City to form Franckel & Plevy, LLP. Robert heads the New York City office in midtown Manhattan.